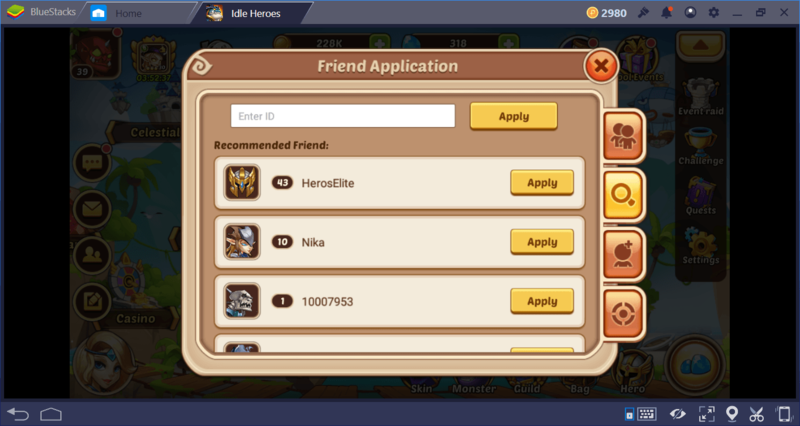 If you’ve just started playing Idle Heroes, you might have a hard time figuring out what to do because of the many options offered. In all likelihood, you probably do not even know about some of the features that will be very useful to you. However, using these features, you can start the game much faster. The tips and recommendations we listed below are intended to help you play the game more efficiently and build your all-star hero team faster. Let’s begin: We have literally hundreds of heroes and an imaginary kingdom to save. Getting your first 5-star hero won’t be easy: Do not expect to find them before level 30. However, having a 5-star hero at the beginning of the game will make lots of things easier, especially battles. With this hint, you can get a 5-star hero in just 5 seconds right after starting the game. All you need to do is register with an email address. You do not need to link your social media accounts: Give an email address, set your password, and get your 5-star hero from the “challenge” menu – it’s that simple. Moreover, if you already have this hero in your team, you will get the 6-star version. After you’ve set up a team of at least 4-star heroes, disassemble all the remaining 1 – 3 star heroes in your roster. Even if you reach the last level, you will continue to win these low-level heroes and there is no point in holding them. 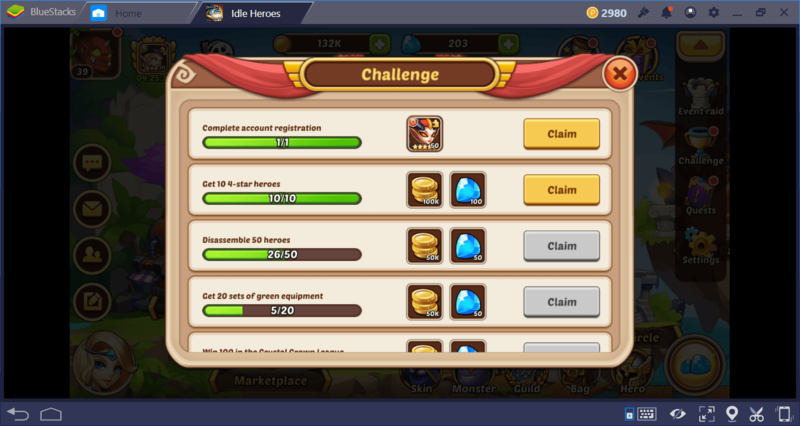 You will win soul shard stones for disassembling and you can buy 5-star heroes with them. We recommend buying these heroes first with stones: Iceblink, Demon Hunter, Dark Arthindol, Gerke, and Walter. The Arena mode is quite fun: You get to fight with other players’ teams and earn satisfying prizes. However, it can be quite tedious to play more than one arena game in a row. Each match takes about 2 minutes on average and after a while, you get bored looking at the screen. Instead, how about seeing the result directly without watching the whole battle? 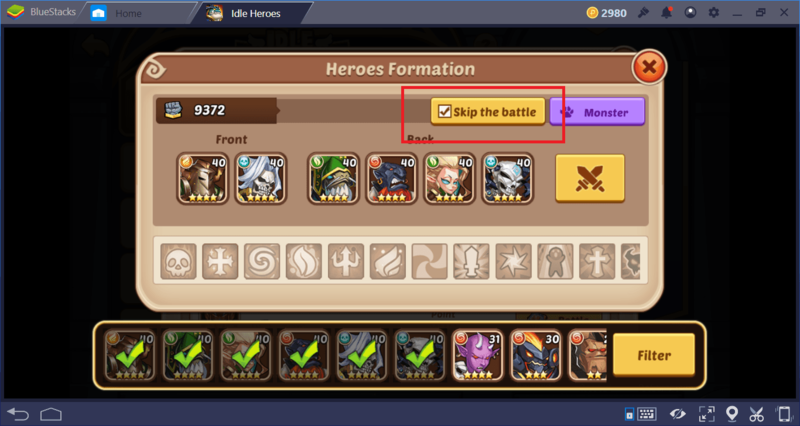 You can do this by checking the “skip the battle” option on the Arena Battle screen. From now on, you will only see the results. People who accept your request will appear on your friend list. Now you can start sending hearts to each other. 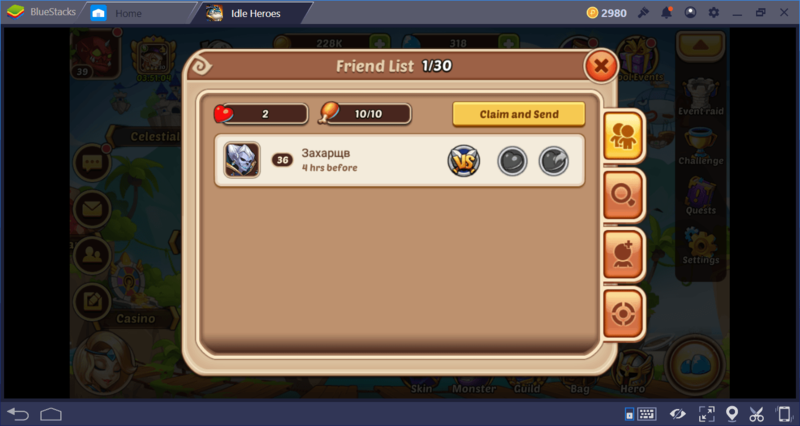 We recommend you to make at least 10 friends because this is the minimum amount needed for a friendship summon. The higher, the better: You can make 30 friends maximum. As your heroes gain levels and tiers, their stats also rise. 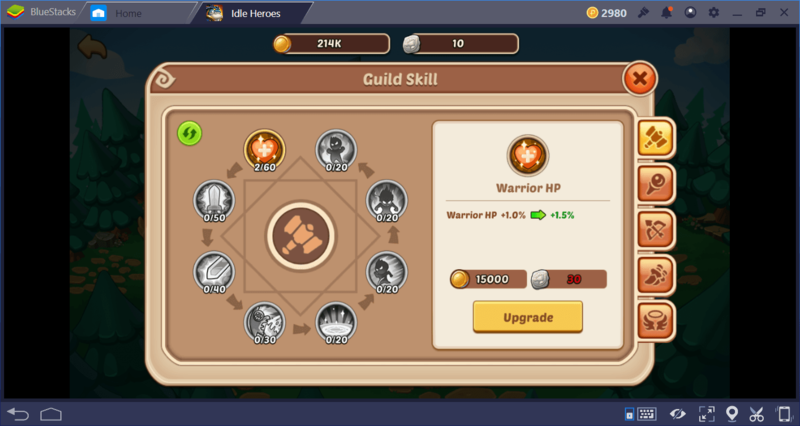 But gaining a level is not the only way to improve them: You can raise all the basic stats of your heroes 20 to 60 points by using the “Guild Tech” screen. If you are a member of a guild, you earn free guild tokens every day. You can purchase stat upgrades by spending these tokens. We especially recommend you to invest in health points of mage class heroes, as they die extremely fast. The simplest way to summon new heroes is to use the summon scrolls. You can even get them for free. 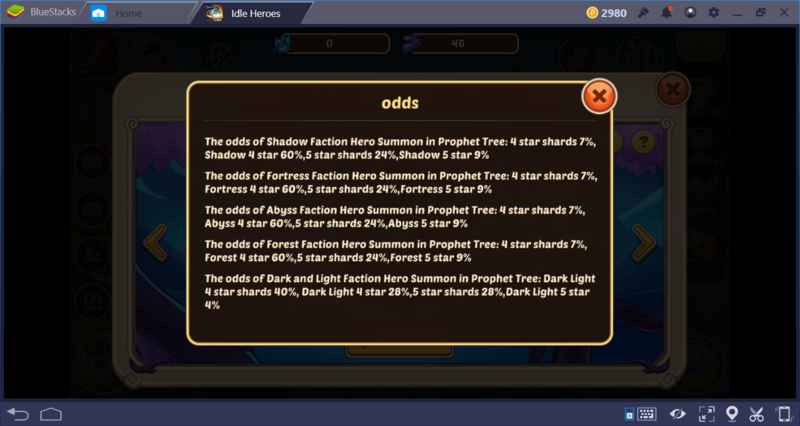 But there is a problem: You never know how many stars the summoned hero will have. It depends entirely on luck. 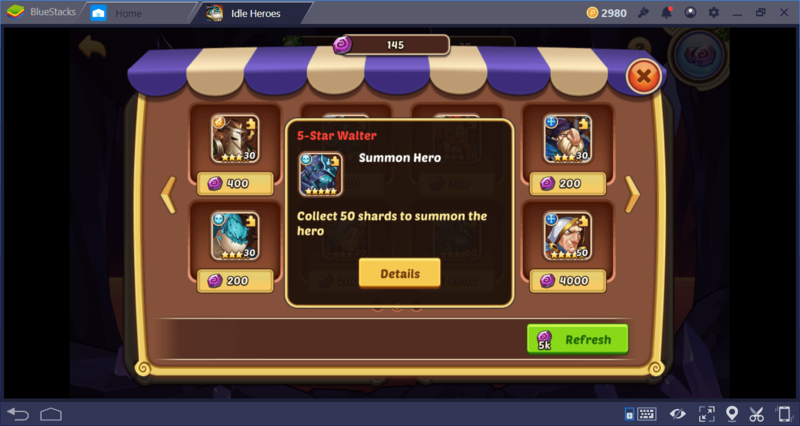 You can use a heroic summon scroll and still get a 3-star hero. In fact, it is likely that this will happen because the odds of getting a 3-star hero is 78.42%. Your chance of getting a 5-star hero is less than 2%. If you want to summon at least a 4-star hero every time, use Prophet Orbs instead of scrolls. These orbs are more difficult to obtain, but you can be sure that you will at least get a minimum 4-star hero. 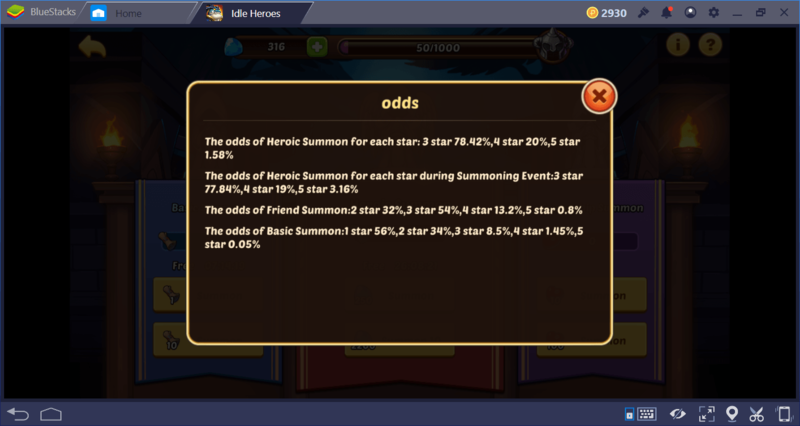 The probability of getting a 5-star hero is higher than the scrolls: 28%. 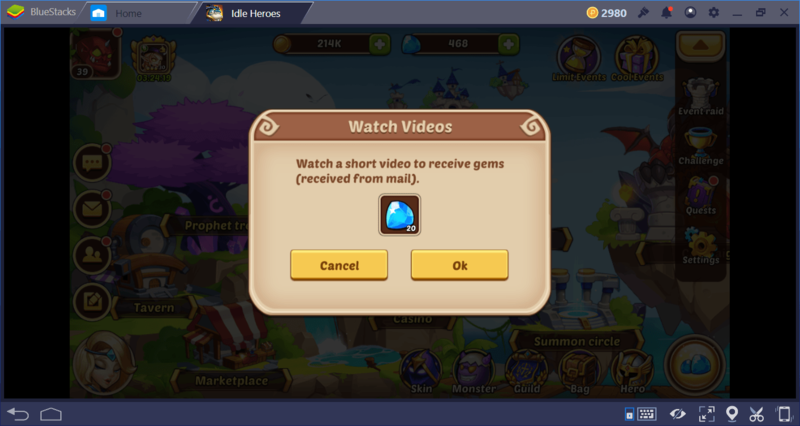 If you are having trouble getting gems, you can earn 20 of them for free by watching a short video. Moreover, it is possible to do this 5 times a day and every day. It may not look like a very high amount, but you can earn 100 gems per day and 3,000 gems per month with this method. At the time of this article, 2.500 gems were sold for $ 49.99, which means we are actually talking about a fairly large amount. By using gems, you can buy Prophet Orbs and build a team of 4 – 5 star heroes much faster. Daily login rewards are different from daily quests. 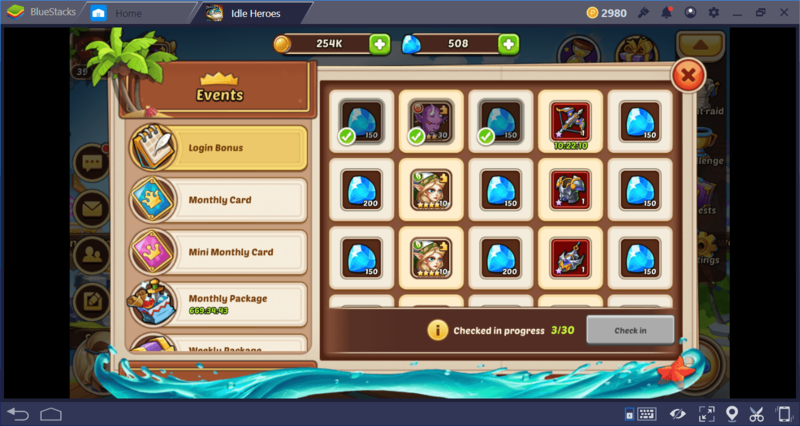 Most of the players do not even realize that they can win free prizes in exchange for logging in every day, because this option is under the “events” category, for some reason. By collecting login rewards every day, you can earn more than 3,000 gems and high-end weapons in a month. Thirty days later, you also get one 5-star hero for free: This is a very reasonable offer. After logging in to the game, remember to get your daily reward under the events category. The marketplace is not just for gem users: You can buy something valuable with gold too. Market content is updated every 3 hours for free. (Using gems, you can update the content without waiting.) You can be confident that you will find an advantageous deal sooner or later. For example, like getting 5,000 spirit for 40,000 gold: Spirit is a much more valuable and rare resource than gold. So check the marketplace often and do not hesitate to buy when you find a good offer. 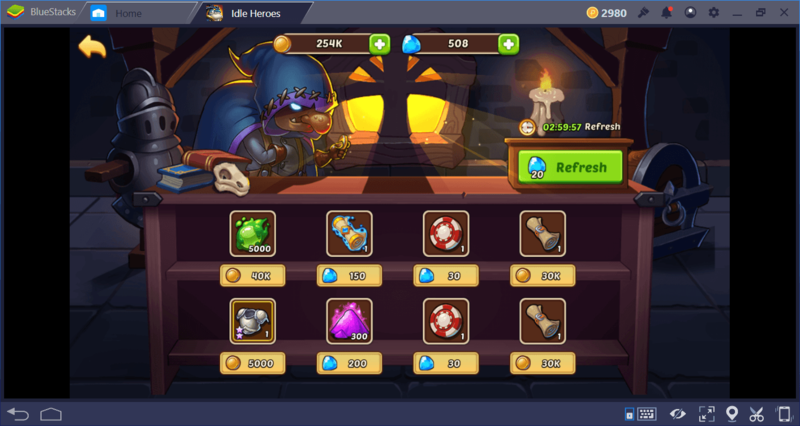 You can check out our other guides to find out more about Idle Heroes: We have created a different guide for almost every feature of the game and they all have tips that will make your job easier.